Gluten-free bread is a trend to be reckoned with, but how can bakers succeed in it? In the U.S., at least 11% of consumers avoid gluten —whether doing it due to celiac disease, for health benefits, easier digestion, or because it’s what’s in the household. But if we’re being completely honest, gluten-free bread usually doesn’t taste that great. 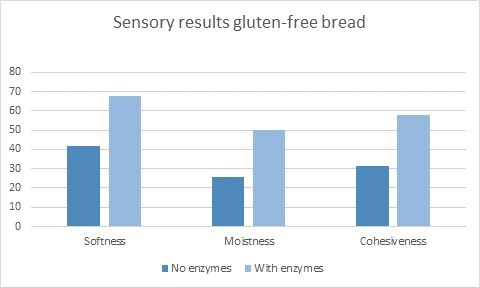 In fact, at least 60% of U.S. gluten-free consumers think the bread could be improved when it comes to softness and moistness. And over half are not positive about the value-for-money. What’s the issue with gluten-free bread? While gluten may not be popular from a health standpoint right now, it’s pretty important from a baking standpoint. Gluten adds a key structure, extensibility, and viscosity to doughs and batters. To mimic that in gluten-free formulas can be a challenge. Breads often turn out with low-quality textures, shelf life, or taste. There’s also the issue of baking a natural bread. Many consumers who switch to gluten-free breads are health conscious, so the last thing they want is a product full of chemicals and additives. Enzymes are found naturally and isolated from plants, animals and microorganisms—which is why they work for clean label. There are lots of types out there, each with a role ranging from reducing mixing time, to increasing oxidation, to helping with texture and shelf life, which reduces or eliminates dough conditioners. The problem is, most enzymes are formulated on wheat flour, ruling out the option of gluten-free solutions. With this issue in mind, DSM has worked to develop a range of gluten-free baking enzymes, formulated on rice flour. The result is a softer, moister, less crumbly and more cohesive bread. While gluten-free baking may be a challenge, it is also an exciting opportunity for creativity and growth. With solutions like these, it will be easier to get ahead of the gluten-free trend. 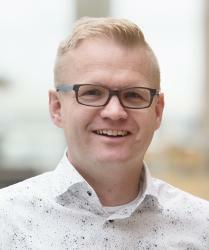 Fokke van den Berg is a Dutch national and works at DSM as Business Director Baking. DSM provides enzymes to the baking industry for benefits including acrylamide reduction, gluten-free, organic and cleaner label alternatives to DATEM.